KILLER MERMAID (aka NYMPH) deals with a group of really dumb Serbian friends who decide to explore an abandoned prison located on a very small island, only to find themselves prey to the title character and her Gordon fisherman boyfriend. Veteran actor Franco Nero shows up channeling his inner Captain Quint. 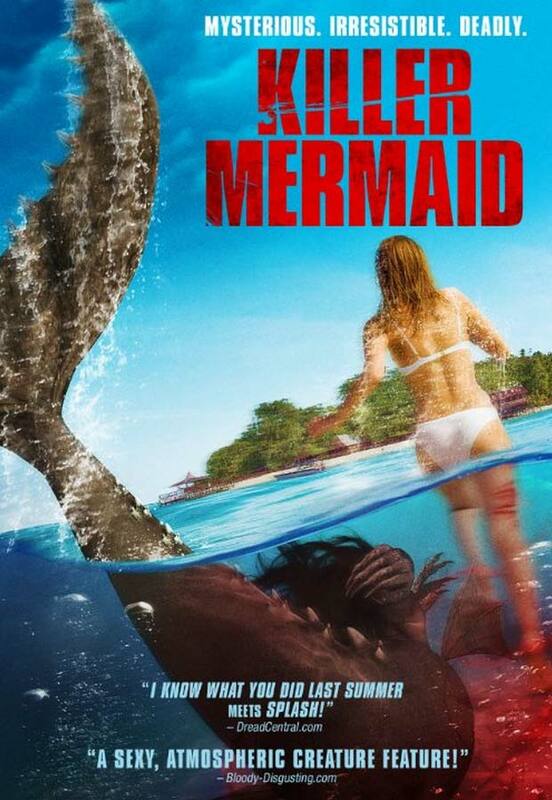 This non-Ariel mess is available for streaming on Netflix, VUDU, and Amazon Instant Video, but as always, you might want to skip the sushi and swim to a safer cinematic island. Returning to the Cinematic Bowl after nearly two years is original co-cinematic flusher Kris Anger. Since leaving SRC, this fierce film reviewer has divided her time writing reviews for moviebuzzers.com, interviewing celebrities on the film festival circuit, and penning her very first young adult novel.